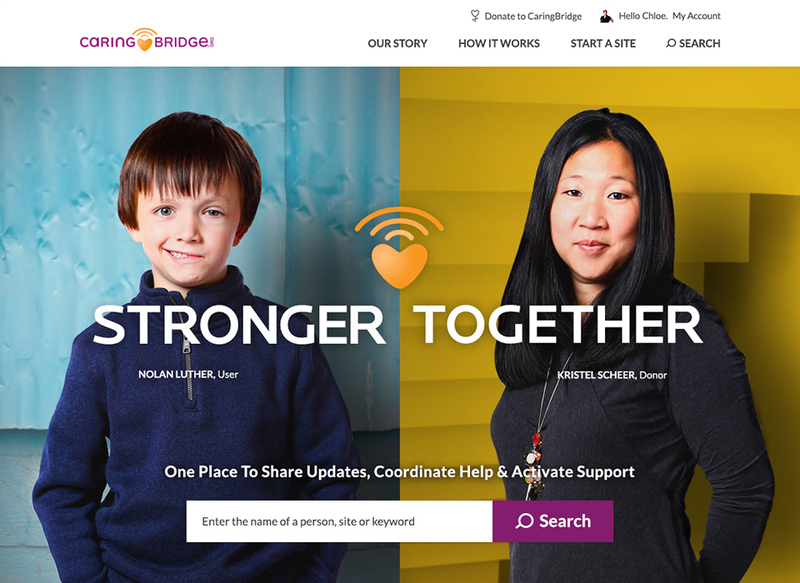 CaringBridge is a nonprofit organization established in 1997 that offers free, personalized websites to people facing various medical conditions. The platform allows family members and friends to receive information about a particular individual. 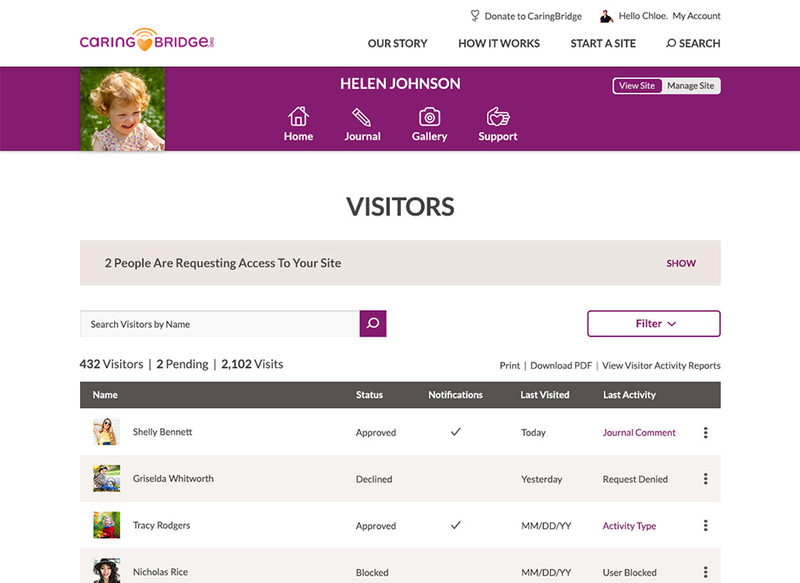 More than half a million CaringBridge websites have been created. 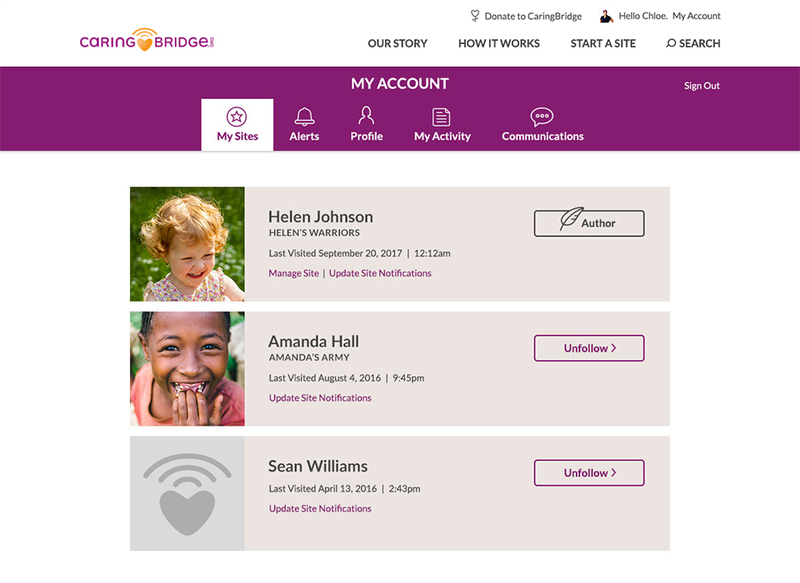 One in nine people have used CaringBridge to support a loved one during a health journey, and their reach extends to 236 countries. 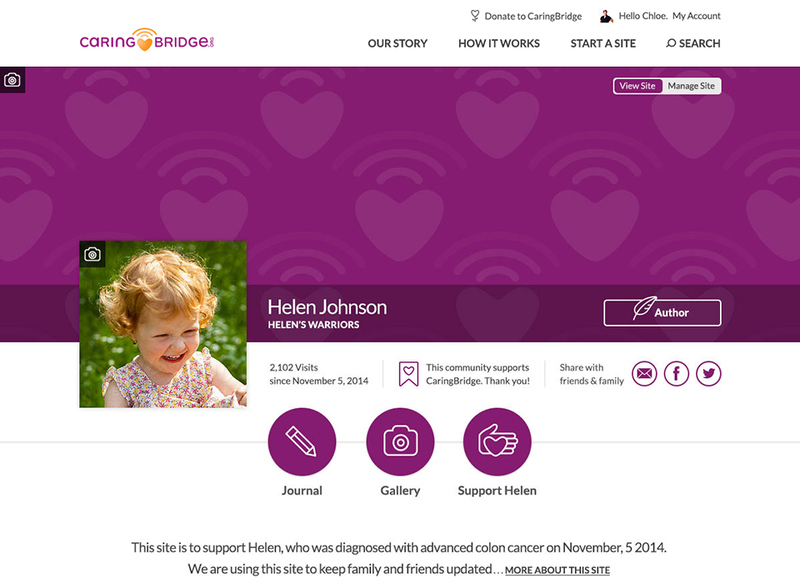 CaringBridge.org was due for a website redesign so they invited MJ Kretsinger to help. 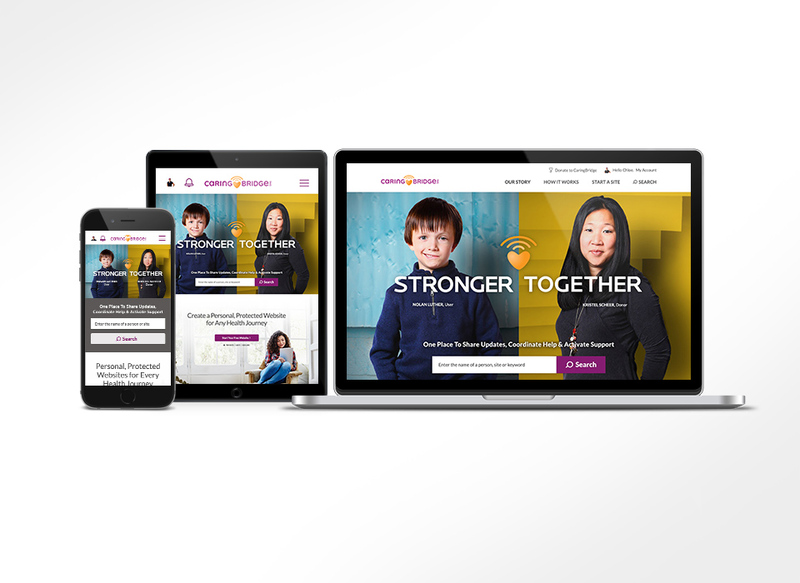 During the engagement, MJ Kretsinger created a fresh website design optimized for desktop and mobile devices. The redesign also included making the website design ADA compliant to the AA level so disabled users could find their way around the site much easier. The new website includes a redesigned homepage with multiple content areas, a refreshed my account area, site settings, support section, search results, a blog with a blog newsfeed homepage (titled “Resources”), and more. In addition, MJ Kretsinger provided development strategy (i.e. Data Modeling, Diagrams, etc.) 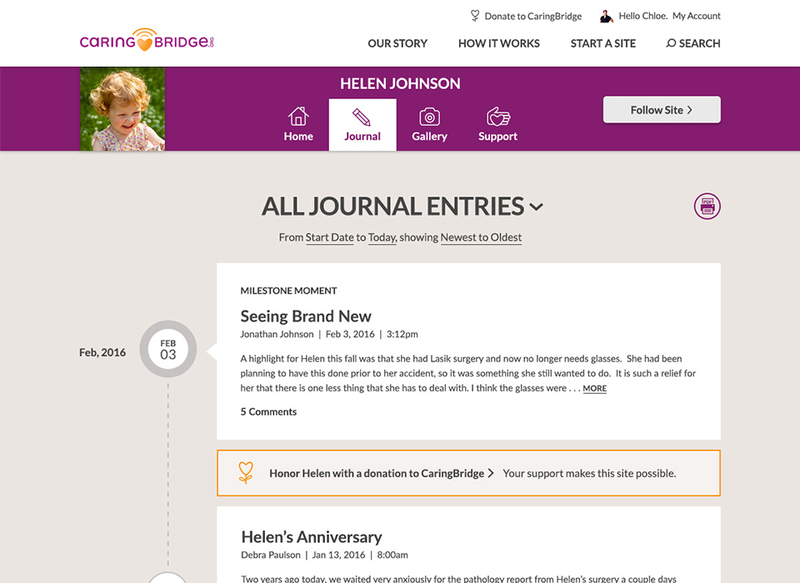 and partnered with the CaringBridge development team to migrate portions of the website to WordPress.